Is Premium Fuel Really Better Than Regular? Is premium gasoline really better than regular? Is it actually required for your vehicle, is it just recommended b the manufacturer? Read on to find out if you could be saving about $200 per year at the pump. Is it necessary to use premium gas? Take a look at your owner’s manual to find out what your car’s manufacturer recommends. Some vehicles will also have a sticker located on the inside of the fuel door that says what type of gas the vehicle needs for optimum performance. If your vehicle has a sticker that says, “Premium Fuel Only” and an octane rating, then premium fuel is recommended for your vehicle. But, here’s the thing. Just because premium fuel is recommended, that doesn’t mean it’s absolutely necessary, or your car won’t run properly. It simply means that you should use premium fuel to achieve the best engine performance, the most horsepower, and the most torque your car’s engine can provide. So, is it really necessary? The short answer is no, but you’ll get the most out of your engine if you follow the manufacturer’s recommendations. 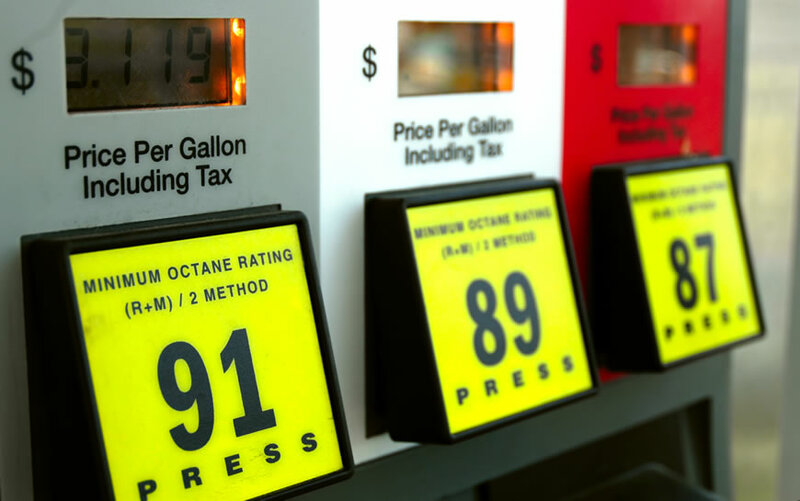 What is the difference between regular gas and premium gas? 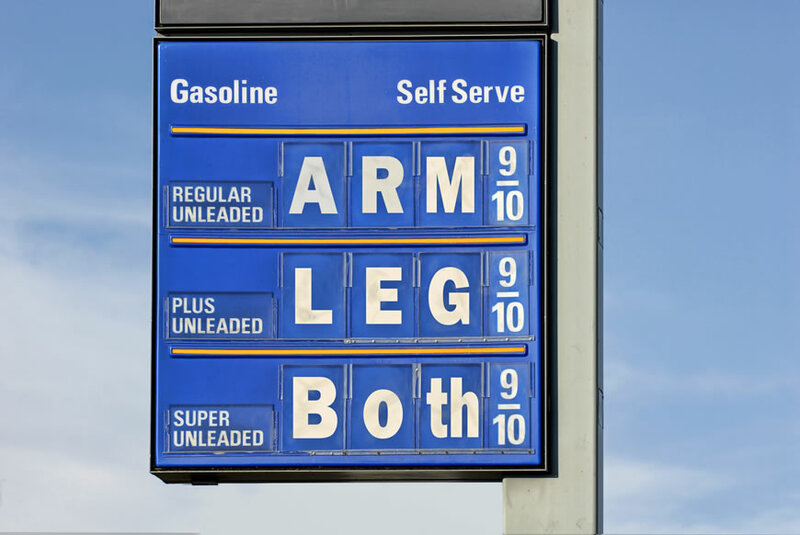 In the simplest of terms, premium gasoline is gasoline that has a higher octane than regular gas. When you use a lower octane fuel, it’s more likely that engine combustion will happen when it’s not supposed to. When you use the right octane level for your car, combustion should happen precisely when it’s supposed to. A mistimed explosion in the engine is called an engine knock because it sounds like a knocking or pinging in the engine. Using gas with a higher octane makes engine knock much less likely. If you do notice a ping or knock once in a while, it’s not a big deal, but if your engine is knocking a lot, it could shorten our engine’s longevity. If you have a newer vehicle, it may be equipped with a knock sensor that can actually change the spark plug’s timing to help eliminate engine knock. If premium fuel is recommended for your call, you can get away with using regular fuel, but your car may perform better with premium fuel. When should you use premium gas? If your vehicle’s manufacturer recommends premium gas but doesn’t state that it’s required, you may wish to test different grades of gasoline to see if it really affects your car’s performance enough to make it worth the extra expense. Drive your car until it’s under a quarter tank of gas and then fill it up with premium gas. Make notes about your gas mileage and your vehicle’s performance through two full tanks of premium gasoline. Then, repeat the process with regular gasoline. If you notice that your engine doesn’t run as smoothly, or your gas mileage suffers with regular gas, you should probably stick to premium. You should also read your vehicle’s warranty carefully before you decide. In some cases, your warranty may become void if you don’t follow the manufacturer’s recommendations to use premium gas. If that’s the case with your vehicle, you should definitely use only premium gas to avoid having to pay for costly repairs out of your own pocket. Is premium gas better than regular gas? It should be noted that switching to premium gasoline doesn’t always mean your car will perform better. Performance is also influenced by your car’s technology and several other factors. Premium gas doesn’t clean out your engine, either. Don’t put premium gas in a car that doesn’t need it and expect it to improve performance. At the end of the day, it’s up to you to decide what’s best for your vehicle and your wallet. If you do decide to ignore the manufacturer’s recommendations, be sure to pay close attention to how your vehicle is running and switch back to premium at the first sign of trouble. Mastertech is proud to be the best domestic auto repair shop in the area. For over 15 years, we have specialized in the repair and maintenance of all makes and models of domestic vehicles. To make sure your Asian and European import keeps running smoothly, trust our certified auto repair experts who can easily manage the unique design and workings of all imported vehicles. At MasterTech Automotive Specialists, our fleet program is the best choice for any company who needs reliable fleet service.